The Loudoun County Preservation and Conservation Coalition set up a New Comprehensive Plan Review Committee in 2016 to follow, analyze, and comment on the Envision Loudoun process. The committee consists of a team of 15 representatives from the LCPCC member organizations with a wide range of expertise. This committee has reported to the full Coalition at regular monthly meetings. 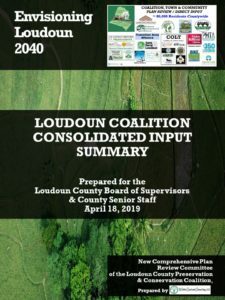 The May 7, 2018, draft Loudoun 2040 General Plan was thoroughly reviewed by the committee with the intent to work constructively with the draft as a starting point, supporting its recommendations as fully as possible when consistent with the Coalition’s shared views. 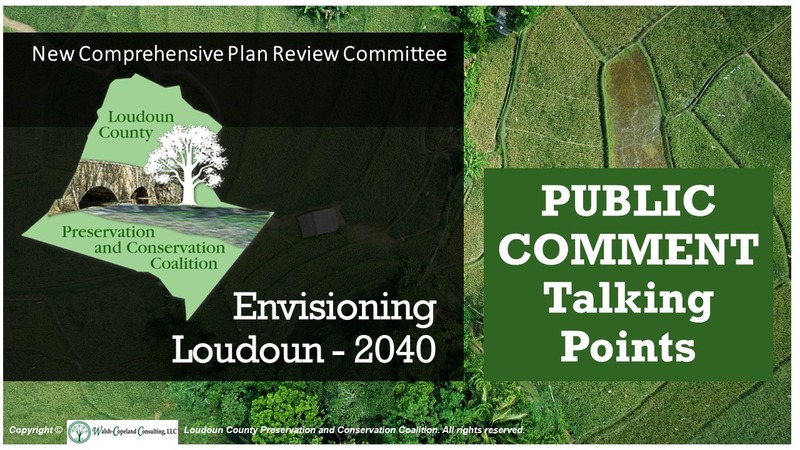 The October, 2018 revised Envision Loudoun 2040 draft was reviewed in detail, as well as the most current March 13th version, which can be found HERE. 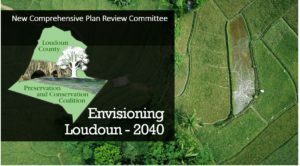 Draft Envision Loudoun 2040 “final train” has left the station. “All On Board” to give input to Board of Supervisors. The Board of Supervisors officially received the Planning Commission Comprehensive Plan draft on March 21st. 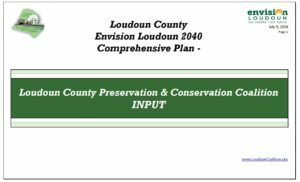 The Board will conduct a series of work sessions and two Public Input meetings and is required by Virginia Code to “take action” in 90 days. Coalition Members should prepare remarks based on their primary area(s) of concern. 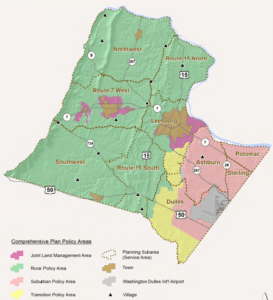 To assist, a PUBLIC INPUT TALKING POINTS summary has been prepared based on the information the New Comprehensive Plan Review Committee is providing to County Staff and each Supervisor during meetings in March and April. The talking points highlight eight areas of concern, with specific actions for changes in the draft plan and supporting fiscal analysis information. Members may select the issues/actions of highest concern to create 2 minute remarks. LCPCC Envisioning Loudoun 2040–Summary Presentation Presented to Supervisors, County Staff, member organizations and communities throughout September – November, 2018. Citizens strongly and clearly have stated in a University of Virginia survey and two “Envision Loudoun” public input sessions that overdevelopment and congestion are their chief concerns, and that they want more parks and protection of Loudoun’s natural and rural areas. There are currently nearly 30,000 approved but unbuilt houses in the county, already inadequate funding for road improvements, and no strong protections for the rural or transition areas. 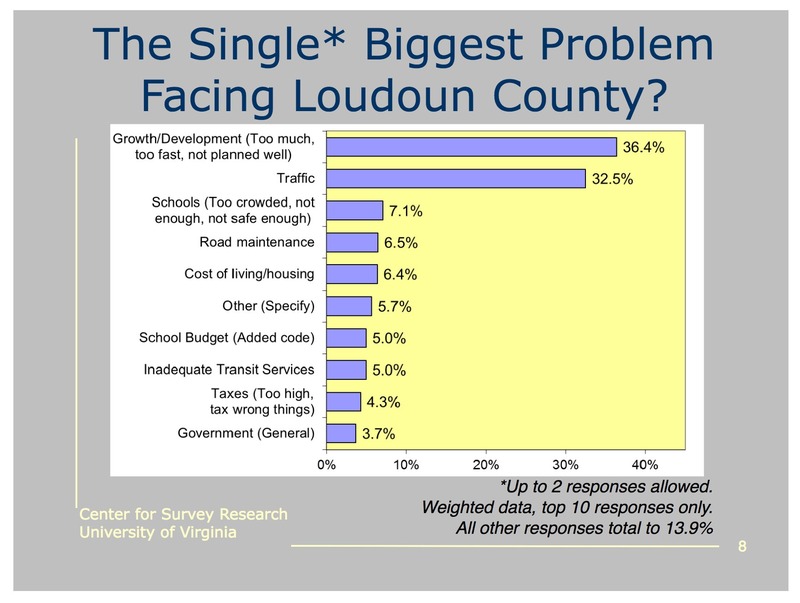 In order for those citizen priorities to become reality, the comprehensive plan’s policies must be specific, with measurable goals and time frames for achieving them. Following the dismissal of the Stakeholder’s Committee, the Coalition remains committed to ensuring that citizens’ priorities for a fiscally prudent and sustainable plan are reflected in the final document.